The production of industrial robots and automation systems has grown tremendously over the past few decades. Following the worldwide reduction in production cost and a boost in productivity, technology has completely reshaped the manufacturing operations. The automotive industry, for instance, is the leading consumer of industrial automation systems that enable them to produce high-quality cars at affordable rates. Being an inseparable part of today’s manufacturing industry, robots have taken over many of the sensitive production tasks that demand ultimate precision and repeatability. The blog post will discuss the way robots have transformed manufacturing operations all around the globe. Almost half of the world’s automation technology is being used by the automotive industry. With an increase in consumer demand, the automation technology has expanded its scope and applicability. The automated production processes help manufacturers increase their profit potential and meet market expectations. Robotics improve the overall efficiency of a manufacturing process by creating efficient means of completing production tasks. Unlike humans, robots do not get tired and can work for days while meeting the quality and quantity requirements simultaneously. Modern industrial robots have the ability to adapt and take critical decisions during operations. The industrial technology is evolving continuously and striving to meet the growing demand for quality. The nature of competition is changing both on national and international levels. Applications of technology in factories have created new opportunities for companies to explore new possibilities of serving the unique and ever-changing expectations. Robots are valued in the manufacturing industry for a number of attributes: reliability, predictability, precision, repeatability, and imperviousness to hazardous environments. Robots come with certain limitations when we compare them with humans. Unlike humans, robots lack the ability to respond to unexpected circumstances and improve performance based on previous experience. Existing uses of industrial automated devices involve repetitive programmable tasks including material handling, metal fabrication, spot welding, spray painting, and palletizing. The application of robots in standard industrial tasks can bring about dramatic results for manufacturers. In addition to becoming less expensive and complicated, next generation of robots would be able to perform a great number of tasks under less structured environment. Robots have a broad range of potential applications in manufacturing because they are flexible and programmable. Sensor technology enables robots to hear, see, and feel the environment. These abilities are essential in quality control and measurement process. Robots are capable of producing precise and high-quality work. They can produce larger quantities of products in short period of time. They improve the safety conditions in a facility. They can perform in harsh environments where humans cannot operate. They can be reprogrammed and used for producing varying products. Companies now have realized that robots and other manufacturing technology offer golden opportunities to improve productivity dramatically. A sharp increase in the use of automated systems would change the way businesses evaluate their production and expansion plans. From precision machining and assembling to material handling, robots have been making things easier for manufacturers all around the globe. 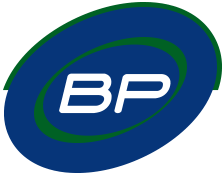 In North America and other developed parts of the world, companies like BP Automation have been providing economically viable engineering solutions to a wide range of industries. It is high time to unlock the next level of productivity by automating your manufacturing processes.